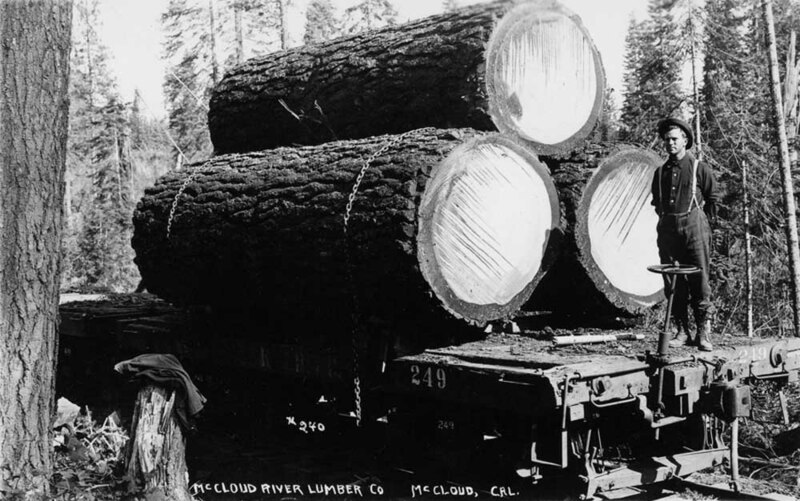 In the first years of operation, the McCloud River Lumber Company contracted most railroad work out to the railroad company. By 1907 total annual mileage of logging spurs in use at any one time was about 30 miles, with that trackage constantly being moved around to follow the harvest operations. Operations of these spurs were initally handled by McCloud River Railroad crews. This lasted until 1919, when the railroad turned all operations of the lumber company railroads over to the lumber company. The railroad continued to own all the rails involved, plus most locomotives and rolling stock used on the lumber company operations, with such equipment leased to the lumber company and operated with lumber company crews. The lumber company used steam power leased from the railroad, usually the small 2-6-2s acquired early in the century, and later with the six big 2-6-2s purchased from Baldwin and Alco in 1924 and 1925. In addition to the leased locomotives the lumber company owned a couple small Plymouth switchers. 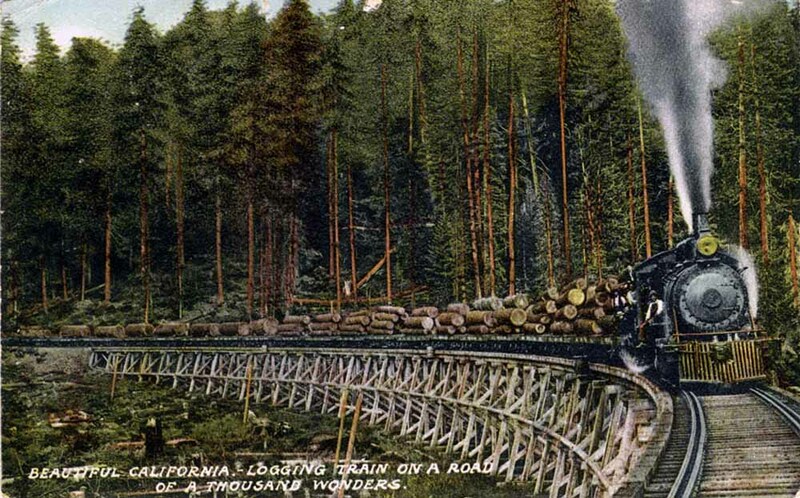 The lumber company used flat cars leased from the railroad exclusively to move logs from the woods to the mill. In the early years these cars were 28-foot cars, with 40-foot long cars becoming the normal later on. A number of the old 28-foot cars were later re-built to 40-foot cars. In the last years of log hauling most of the log car fleet were ex-Western Pacific livestock cars cut down to flatcars. Postcard view of one of the early 28-foot flats with an impressive load of old growth Ponderosa pine. Jeff Moore collection. In the final years of operation the lumber company maintained three rail logging operations. The two active camps were at Pondosa and Kinyon. Loggers from Pondosa were bussed to the harvest operations behind Burney and in the territory north of Lake Britton, and loggers based out of Kinyon worked the mountains to the south. Rail operations out of Pondosa lasted until late 1955 and were steam powered to the end. In the Burney basin, the lumber company owned a couple logging spurs that were operated by the railroad using one of the railroad's Baldwin diesel switchers. Kinyon was home to the lumber company's General Electric 70-ton diesel electric switcher, which was used in that area, with the Dry Creek spur at MP 11 the scene of the last rail logging operations operated directly by the lumber company. All logging by rail ceased within weeks of the US Plywood takeover. Both remaining camps were also closed, with all logging functions and personnel moved to McCloud. The following are a series of photographs depicting rail logging operations mostly in the mid-to late- 1940s. Perhaps one of the most heavily used photos from the early years of the McCloud River operations is this one of the #8 and a log train on the curved trestle a few miles east of Bartle. This is a colorized version of the postcard from Southern Pacific's "Road of the Thousand Wonders" postcard series. Jeff Moore collection. Below are a links to pages about the various aspects of the Lumber Company operations.